Senior Policy Advisor in the law firm of Olsson, Frank, and Weeda, John Block has dedicated his professional career to the fields of agriculture, food, and health. His accomplishments in agriculture began with the building of a large and successful hog operation in his home state of Illinois where he also served as the Director of Agriculture from 1977-1981. He was tapped by President Reagan to serve as the Secretary of the U.S. Department of Agriculture from 1981- 1985 where he played a key role in the development of the 1985 Farm Bill. 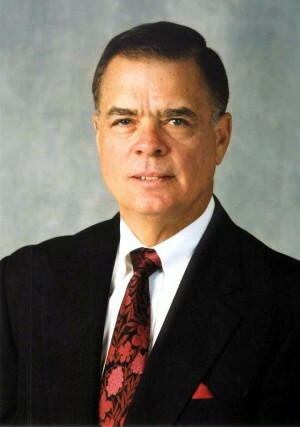 He was President and Chief Executive Officer of Food Distributors International (formerly National American Wholesale Grocers Association) from 1986-January 2003. Mr. Block serves on the Board of Directors of The Farm Foundation, Hormel Foods Corporation, and Digital Angel Corp. He is Chair of the Citizens Network for Foreign Affairs Agribusiness Alliance and a member of the Board for the Friends of the World Food Program. He is a Non- resident Senior Fellow with the National Center for Food and Agriculture Policy. John Block is a graduate of the U.S. Military Academy.